Following more than a year of work, youth researchers in the South Hebron Hills were able to share the fruits of their work in the On Our Land project with their communities in October. 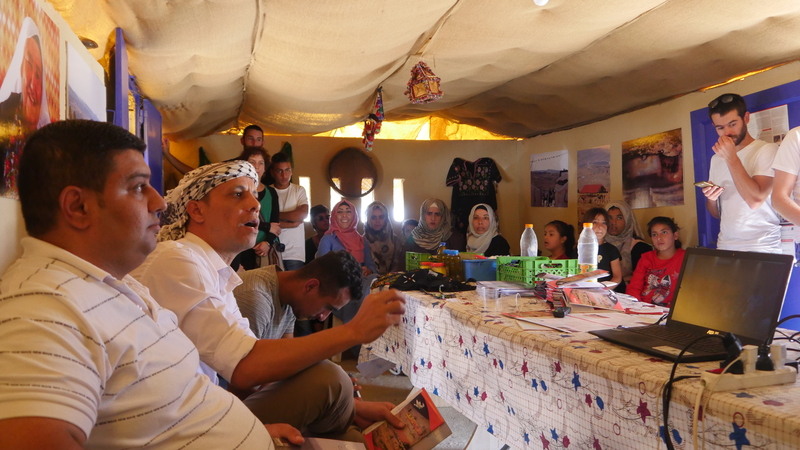 As part of a small grant making programme the researchers developed two heritage trails and exhibitions in the communities of Al Twani and Susiya, based on the oral histories they had collected from communities there. The youth research team also produced two leaflets in collaboration with local historians, to guide visitors around the trails. 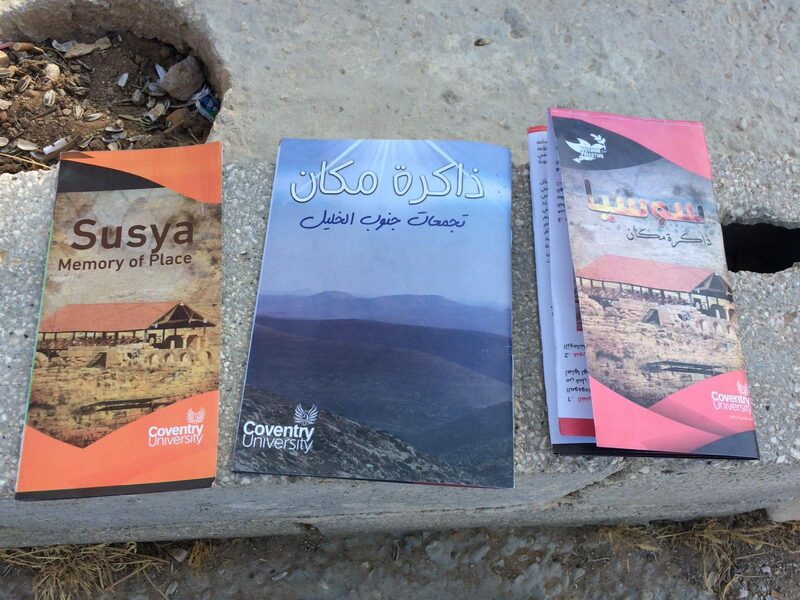 These are available in both Arabic and English, and represent the first time the community has been able to formally document its history, culture and current concerns. The launch of the trails presented an ideal opportunity for the wider community around Al Twani and neighbouring villages in the South Hebron Hills to come together and celebrate the achievements of the 15-month long On Our Land project, and the youth researchers in particular. Around 70 people gathered to visit the exhibitions and share in a lunch of locally prepared foods, with project coordinator Hafez Huraini noting that the young researchers had “contributed to the resilience of this community” through their work, and that community members “are proud of what you did”. In the weeks since the trails opened they have already been visited by 50 people, including groups from Spain, the UK and nearby Hebron University.